I coach people who are wanting to move forward. I help my clients find Clarity in all areas of their lives as well as address blockages that are keeping them from attaining their goals. Hi Lissa, I would like to speak with you briefly to see if you're a good fit to coach me. Please contact me at your earliest convenience. I have coached a variety of people who were stuck. For some they were overwhelmed with all the things they needed to do in order to have a successful business. They were unclear of goals and planning and needed more accountability. For others they were stuck in careers that no longer fulfilled them. They needed to find the next chapter in their career. Then there are the ones who are needing the next chapter in their lives. Finding their purpose and heading towards it. I work in partnership with my clients for a period of 3 to 6 months. We meet weekly either in person, over the phone or on Zoom. Sessions last from 30 to 60 minutes. Before each session I will send a questionnaire to get you ready for the session. Then we will discuss the issues that are keeping you from being your best and discover ways to address those issues. At the end of our coaching relationship, clients are more confident, blockages have been removed and they are ready to head forward in life. I've owned a coffee shop, been the Executive Director of a non-profit organization, worked with at-risk youth and teenage parents, as well as youth whose biggest challenge is what university to attend. I've worked for social justice around the world and am a mother of two adult sons. I was married for 26 years and then at the age of 45 found myself single. I have the ability to look through the many details and overwhelming weight of uncertainty to find clarity. While I am currently coaching, in the past I have also taught others to be coaches. I offer all my clients a 30 minute free Life Clarity Session. At the end of the session we will see if we are a good fit. If we are, we will start our coaching relationship. If not, we will move on, no obligation. Now it's time to take the first step. Pick up the phone and give me a call to schedule your free Life Clarity Session. I look forward to hearing from you. Have you worked with Lissa? Tell your friends! I kept thinking I didn't need a Life Coach; nothing is wrong with me, but in fact, I did need you to help me think outside of the box. You made me feel so comfortable and confident in myself while challenging me at the same time. A simple thank you is not enough to describe how you have helped me during the last three months. I have grown by seeing and thinking of issues differently than I had in the past. I am able to embrace me even more because you didn't tell me, you led me to the truth of who I am. When I face trials now, I can navigate my way to better solutions because fear will no longer hold me back. Thank you for being one of my biggest supporters. You saw the true me before I did. Continue to bless others on their path to find themselves. and it's not light, then it's yours, not His." anyone down if you say no. You are not responsible for everyone. what God has called you to do! 3. The assignment God has for you is not for you. It's for others. He will give you more. And, true to her word, in the process of writing the first book, I received a divine idea for a second book. On 12/13/14, I birthed my first book. And by January 2015, I had completed the writing my second book, thanks to Lissa's phenomenal coaching. I am forever grateful to God for the gift of Lissa Quails. I’ve been in a frustrated place, not sure if I’m heading in the right direction or if I need to course correct. Lissa is patiently helping me find structure while also having the freedom I need to be spontaneous also. She guides with encouragement but also doesn’t sugar coat areas that need work. I know I am a work in progress, and I am so grateful to Lissa for helping me to develop into the masterpiece God created me to be. you could be, turning what if’s into why not’s. appropriate solutions that best addressed my specific situations. I highly recommend Lissa and the skills she provides. Lissa Qualls, known as an exceptional youth worker with years of experience with teen mums and social justice work all around the world has added another string to her bow. Over the past 3 years Lissa has re-trained as a life coach through CoachNet International. Her training involved a 9 month course with carefully selected participants from all around the world who met together in Thailand for workshops while she received individual supervision from the world renown coach and author Dr. Gary Reinecke. Lissa has now expanded her coaching practice and is using her skills to not only have a significant list of coachees but to also train new coaches internationally. Lissa is the Youth For Christ Caribbean Regional Director and has a wider role with training coaches for the whole YFC Americas Area. 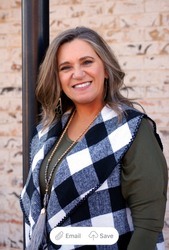 Her experience and skills are greatly appreciated and welcomed within Youth For Christ International and her Anglican Church community in Oklahoma. The coaching that I have received from Lissa Qualls is more than just ordering my life more efficiently and getting tasks done more effectively, though it has done those things. Lissa brings to her work a special insight and wisdom that helps to release the creativity and ideas that are already in me that need to be identified and focused. Lissa goes about her work with a passion and exuberance that in: itself is contagiously motivating. Once I learned what coaching is all about, I really got enthusiastic and curious on how this could help me to go through the new challenges I have been under lately, leadership demands, running a youth ministry, the creation of a strong team to impact my city in Nicaragua, Family time, capacitation for myself and others. It really sounded like a lot of things to do and no starting point. I accepted your invitation to join the coaching process with doubts about it. Little did I know how this process would make my life and duties easier. Something I have liked about your coaching is your trust in me. Your questions makes me think more than an answer as they confront me with ideas that I did not have before. This is what I like about your coaching, it is that sense of direction and ownership. Direction, because you lead to ways I had not walked before and Ownership because I realize that when the answer to my questions comes up through your questions, it is me finding the ideas, solutions, strategies, it is a sense of discovery. Thank you for this. When we began coaching with Lissa Qualls, she asked what we wanted out of the coaching experience. Reluctantly, we said we would like more structure or discipline. Lissa's response was, "So you want to be more effective." We knew we had the right coach! Lissa's sessions help us focus on what is important. After four coaching sessions, our productivity soared. From organizing an organizational calendar to finalizing policies and procedures to setting goals and directives, Lissa's direction is so valuable. She helps us celebrate our victories and challenges us when we drag our feet. If anyone is debating whether coaching is worth it, our response is "Don't delay! Start today!" You will be thankful immediately. Lissa hasn't submitted any articles.